Learning through doing, playing & making are at the core of how kids learn within the context of a community makerspace. Here, kids are the instigators of their own learning, and seek out knowledge and skills as they get hands-on experience with the guidance of mentors – all while having a blast! 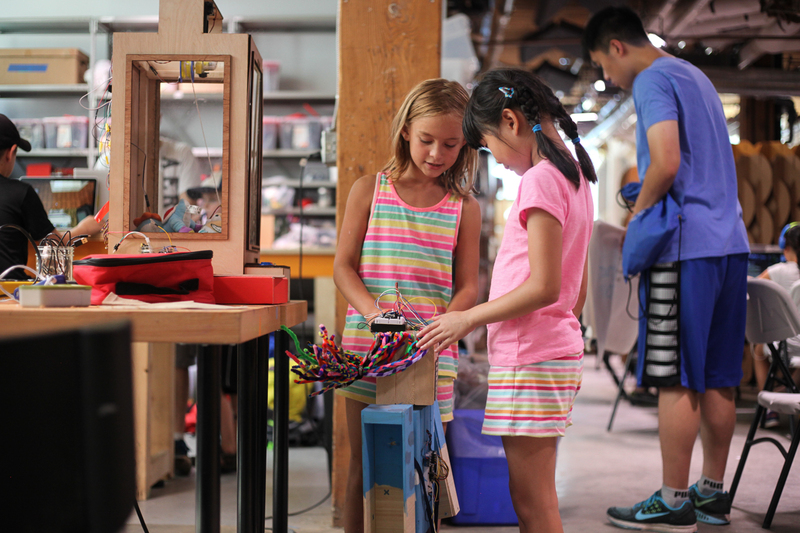 This is why we create and run STEAM (science, tech, art, math) summer camps and summer activities for kids at makerspaces around Toronto – why not use a summer break to discover what the Maker Movement has to offer? There is nothing like using creativity and imagination to build everything from robots to entire virtual worlds. We’re not like any other STEM summer camp, camps at a makerspace empower kids to imagine, design and create projects that interest them, and bring their wildest ideas to life! We offer summer classes in Video Game Programming, Minecraft, a Robotics Camp and a Girls Camp at our downtown makerspace and through our partners at the Toronto Tool Library Danforth & The Maker Bean Cafe. 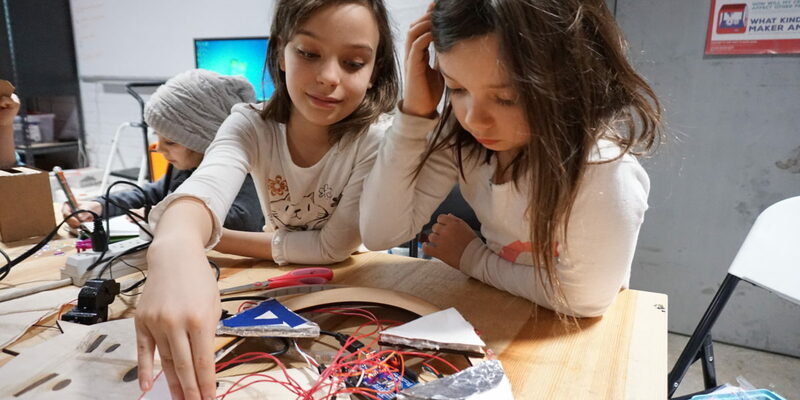 If you are looking for summer activities for kids, check out our stem summer camps and read about the 5 benefits of spending a summer at a community makerspace. When kids learn through play they gain unforgettable, hands-on experiences that can help them understand complex concepts in a very relatable way. Camps for kids use a fun experience to help them interpret what they just learned. Not only do they gain a better understanding, they are also more likely to retain that information! Things just make more sense when you can tie them back to an experience or if you tried something for yourself. A great example is our Robotics summer camp which teaches kids the fundamentals of robotics & coding. While the concepts seem complex, they are applied in a fun and interactive way which builds an understanding through hands-on learning. Nothing engages minds and encourages critical thinking the way a hands-on approach does. STEM summer camps at a makerspace encourage kids to use their creativity to examine an idea – they can see how and why something works because they are able to try it out for themselves. 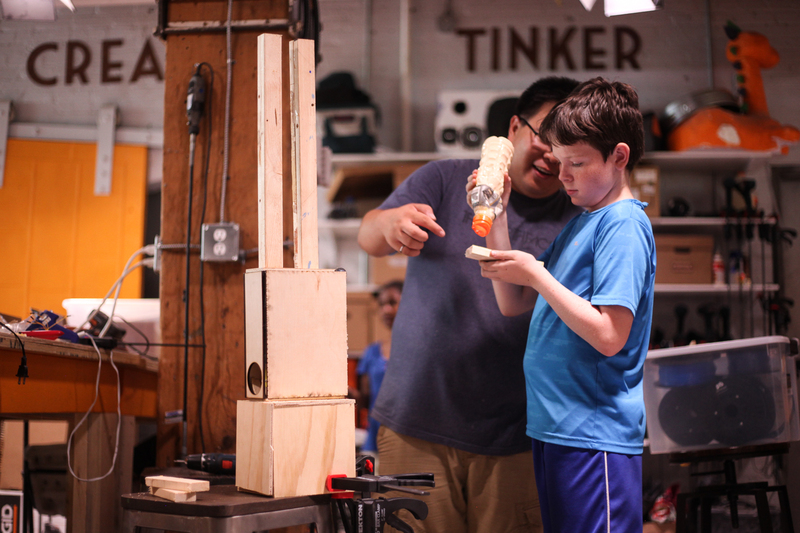 Summer activities and summer camps at makerspaces have the tools and resources to let imaginations run wild, while calling for critical thinking to resolve problems and questions that may come up! Failure is often seen as a negative in a society built on results and performance. A makerspace turns this thinking on its head as a place that celebrates trial and error over results. By teaching that failure is not something to fear, kids are able to experiment and find better ways of doing something. Our summer camps give kids a place to learn that failure is also a part of the learning process. Usually great ideas don’t happen right away! They take many years to develop through a long process of trial and error. This can become part of the fun when mentors empower kids to reiterate their ideas through fun summer activities. What better way to figure out what your interests are than through playing with others and trying new things? Inspiration often stems from collaboration – a great starting point to grow curiosity in a specific area. Makerspaces encourage conversation as students collaborate to create solutions. An essential part of that is learning how to express themselves in a way that encourages further discussion instead of silencing others. Once kids land on an idea that interests them, they have the tools and resources to pursue that idea fully. Their ideas have the opportunity to grow and be explored fully! All too often concepts like robotics, programming and coding are seen as abstract and taught in classrooms through a rigid approach. New skills are needed for the 21st century and these are often developed through non-traditional teaching settings. For example, learning code in isolation often has little impact. Makerspaces allow kids to apply skills like coding to real life applications and to test the capabilities of their code. Code alone often has little benefit but pairing code with creativity, collaboration, critical thinking & communication can lead to beautiful outcomes. Kids learn to code in our summer camps and through fun summer activities in our Robotics camp and our Video Game programming camp. A makerspace offers an opportunity to learn by playing – it was much easier to understand a new concept if you had the chance to apply it through a fun activity! A makerspace offers all the tools to make this possible and fun, while taking advantage of knowledgeable mentors. As campers work through an activity, they are encouraged to come up new and innovative ideas. Ultimately, this empowers them to follow their own interests to learn something new. The STEAMLabs recipe is to play, design, make & celebrate! So join us for a fun summer activities for teens and summer programs that engage kids with maker skills in a fun and interactive setting. 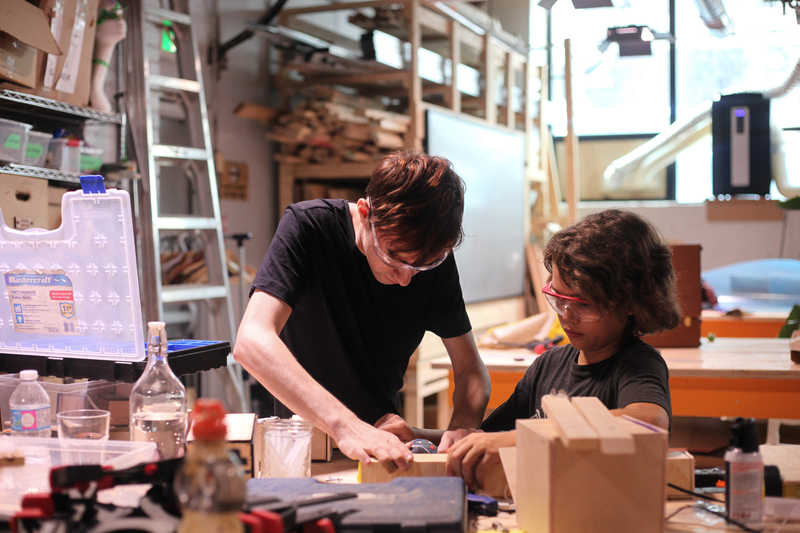 Camps available at our downtown makerspace, and through our partnerships with The Maker Bean Cafe (1052 Bloor St. W.) & the Toronto Tool Library (1803 Danforth Ave.).